French girls: The most traditional of trend followers. Let us explain. They don't really follow trends, per se. Their style is generally classic, and they don't change things up as often as we American girls do. That said, there are subtle style shifts that they make from time to time, and Harper's Bazaar UK just confirmed a few of the most recent ones. The magazine tapped luxury resale site Vestiaire Collective to share the shopping trends of the resale site's French customers, and the results were fascinating for any lover of French style. First on the list was a trend that we wholeheartedly approve: the color red, which Vestiaire Collective confirms French shoppers are choosing instead of "traditional muted colors and monochrome shades." We completely get why it's also French girl–approved. Red will always be a classic, but it's also everywhere in the fashion world right now, Parisians are likely aware of, even if they choose to go their own sartorial route. Now, read on to shop a few red pieces we think French girls would love, and then check out the rest of the French-girl shopping trends on Harper’s Bazaar UK. 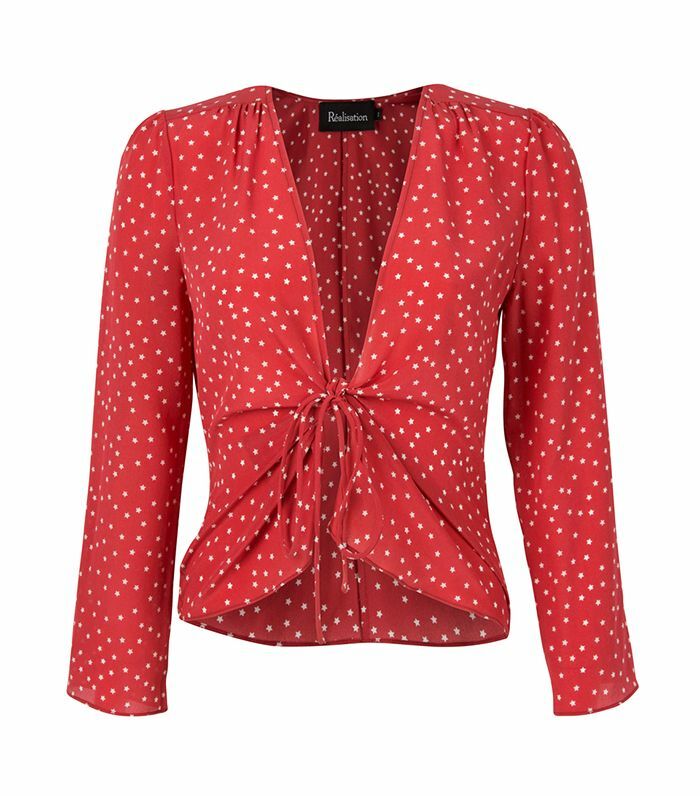 Is it just us, or does every French girl have this top? These pretty heels could dress up even the most basic outfit. We'll be wearing this straight into fall. Looking for other options? Shop more red pieces.